Carlos Truan started working in a tattoo shop when he was 18 years old, at 23 he landed an apprenticeship and has been tattooing on and off for the past nine years. Truan has traveled and tattooed in many cities and will be doing a guest spot at Lost Art Tattoo from Sept. 10-17. SLUG: What is bringing you to Salt Lake City to tattoo at Lost Art for a week? CT: I met Nate Drew, owner of Lost Art, at the Austin Tattoo Convention this past January and he asked if I’d tattoo him at his convention in Salt Lake City, which I did. We got to talking, and he found out that I traveled a lot and worked in different cities, he asked me to come tattoo…er, wait…maybe I asked him. I don’t remember. I really liked Salt Lake City while I was there and couldn’t wait to get back. Nate and I got along great. SLUG: Do you enjoy traveling to different cities and states to tattoo? CT: Love it! I work at Jinx Proof in Washington DC kind of regularly. I also work at Saints & Sinners in Dallas, owned by Nick and Emily Ley, Scorpion Studios in Houston, owned by Dan Martin, GTC Tattoo Land in Anaheim, and various tattoo shops in Corpus Christi. I’ve made some of my best friends tattooing in different places and I love returning to see them. I try to work in a different city one week of every month; it keeps me inspired by seeing what all my friends are doing. SLUG: Have you had any formal art training? CT: No, not really, but my father was an artist. He was Chairman of the Art Department at the University of Texas in Brownsville before he passed away. I was overly exposed to art my whole life … my father made a huge impact on me and my art. SLUG: What tattoo artists, or other artists, inspire you? CT: There are a lot of great tattooists out there. I spend a lot of time looking at their work on the internet; it really pushes me. I get inspiration from everywhere I look from wallpaper in hotels to Michelangelo. Mostly, I look at a ton of religious candles (any religious iconography), botanical and clip art books. CT: I would say my favorite [style] is Traditional Americana because I like the simplicity of it. It’s simple yet powerful. When I tattoo that way, for some reason, it always ends up looking a little bit Mexican, whatever that means. And being that I work with Chris Trevino, who primarily does traditional Japanese, sometimes his influence rubs off on me. SLUG: Describe your involvement with Perfection Tattoo in Austin, TX. CT: I’ve been there for a year and a half and it’s been great. Chris has one of the best tattoo art collections in the world, so I’m surrounded by nonstop inspiration. People come from all over the world to get tattooed and it’s opened a lot of doors for me; it has really helped me to grow. My tattooing has progressed 100 percent since I’ve been there and we all get along really, really well. It’s been a great experience, so far. SLUG: What type(s) of music are you into? Are there any specific genres or artists that inspire you or fit different days or moods? CT: Black Sabbath, Dead Moon, Witchcraft … I also listen to a lot of bluegrass or old time music. Since I’ve been at Perfection, I’ve acquired a taste for Steely Dan. However, when I’m tattooing, I really like to listen to Black Sabbath. 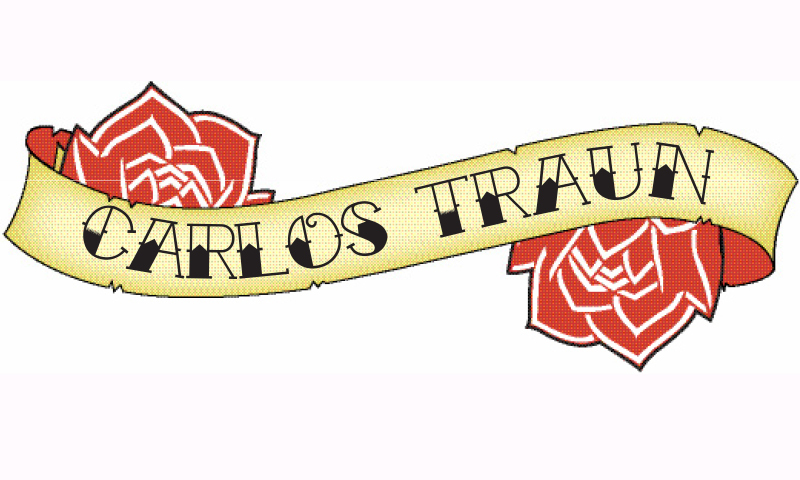 Show the man some love when he gets to town, and make sure to check out his stuff online at www.carlostruantattoo.com. To book an appointment with Carlos Truan call Lost Art at 801-537-7858.